I am literally dying over the plaid coat trend, aren't you! It's one of the best fashion trends to hit the runways for years! And it's so wearable! 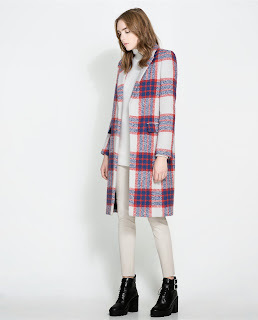 The 3 standout coats of the 2013 Fall Plaid Trend Coat are designed by Zara (above), Celine (below), and Stella McCartney (bottom). 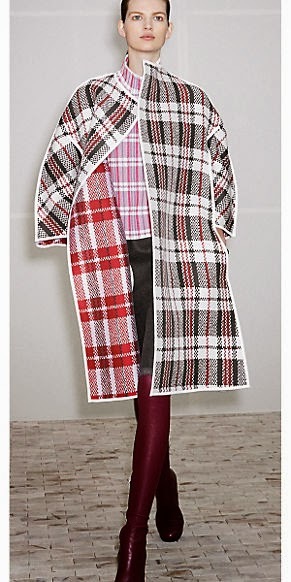 My personal favorite is the Plaid Check Coat by Zara because the colors are bold and stand out more. The coat is also predominantly grey and serves as a lovely back-drop for the blue and red checked pattern. The other 2 highly sought after coats of the 2013 Fall Plaid Trend Coats are the Celine and Stella McCartney coats. 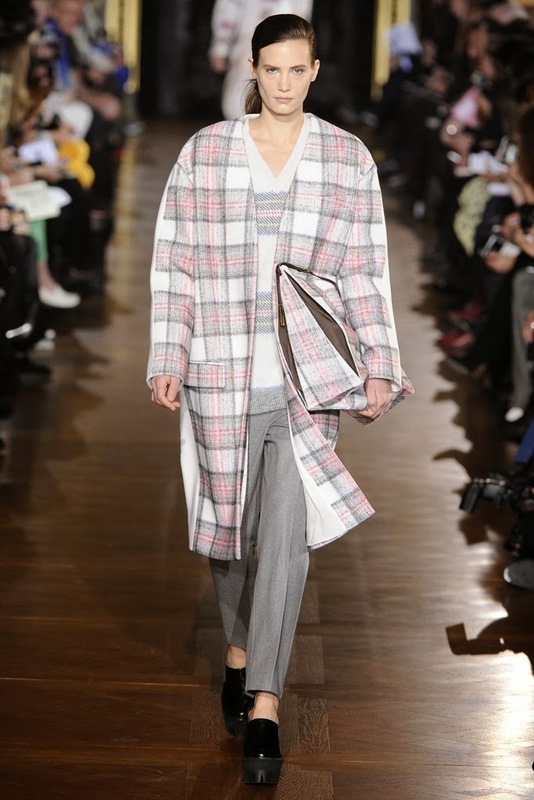 The Stella McCartney plaid coat is probably beautiful in person. The colors are soft and demure. The Celine coat, frankly (and you'll agree with me on this one) looks like a shopping baaaaag! LOL! Doesn't it? You know it does. It looks like a fruit stand plaid shopping bag! (if you live in a big city, you've definitely seen these before). But that's not to take away from it's trendiness. If you step on the scene in any one of these coats, you will be granted fashion respect, and that's a fact! Which one if your favorite Plaid Coat of the 2013 Fall Plaid Trend Coats?